The Shrine itself, established in the 8th century, is dedicated to the God of rice and sake called Inari and is the most important shrine in Japan to this God. 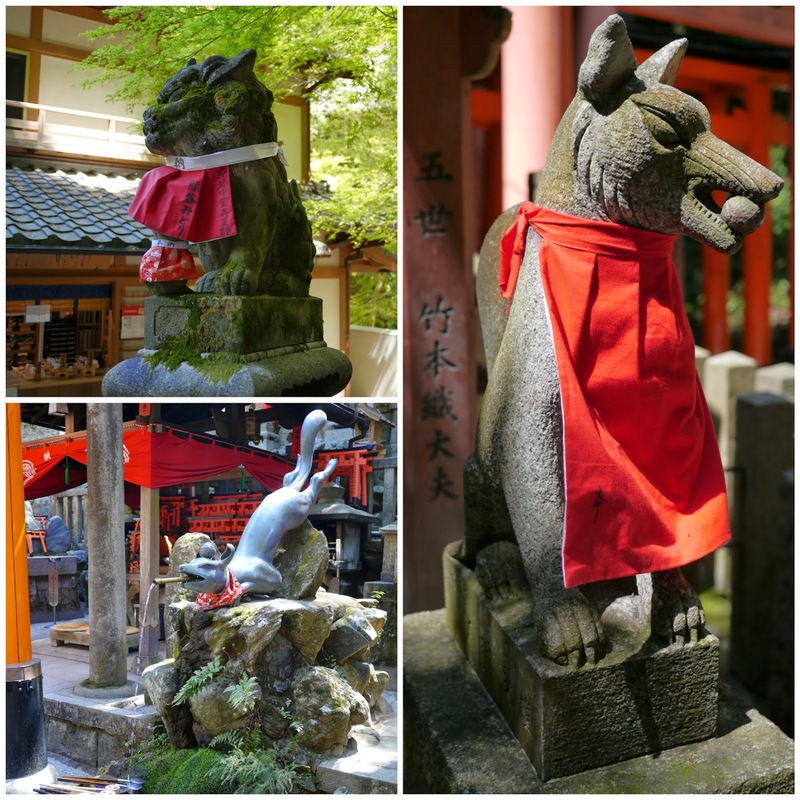 You'll see lots of statues of foxes scattered around the mountain which are thought of Inari's messenger. The foxes generally carry a small key in their mouths which signifies access to stored rice and other grains. Even without understanding the intricacies to the background of the shrine, it's an impressive place to wander around. The thousands of torii are donated by various businesses or organisations and their names are engraved in black on the back of each gate. It's a visual feast climbing the mountain which is punctuated by a number of small places to worship or to grab a bite to eat. The colours change depending on the concentration of torii and the surrounding trees. We visited mid morning, when the lower gates were heaving with the tour bus crowds, but persist onwards and you'll be rewarded with a view over Kyoto around half way up and relative serenity from the thinner crowds. 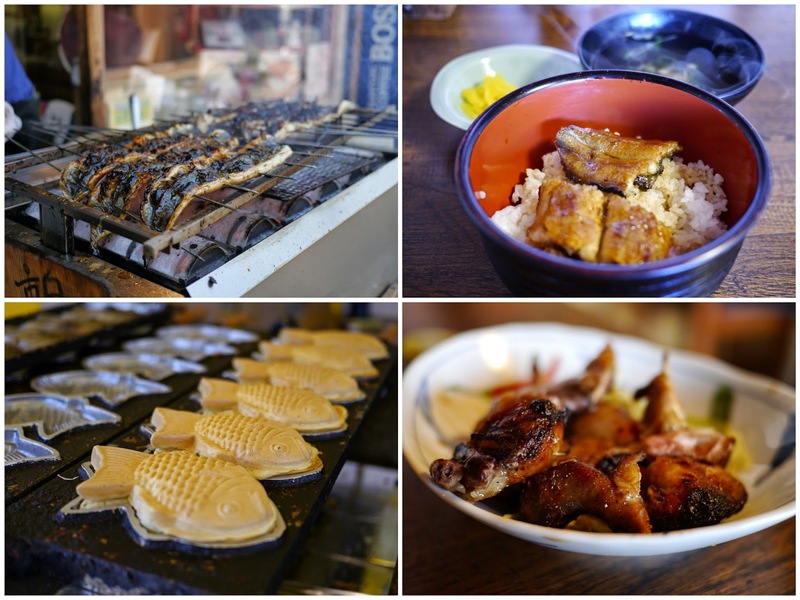 Making your way back down the mountain, you'll probably still be thinking about the grilled eel that you passed on your way in, but have a look at the stalls selling food just outside the grounds too. We picked up some fish-shaped taiyaki filled with custard fresh off the presses, since the line for the takoyaki man looked a bit too long and my appetite at the time was, well, insatiable. At Nezameya we were shown to an upstairs room which was split into tatami mats on the left and small tables on the right. I ordered an excellent unagi-don set, which showed the skill you'd expect from a restaurant with more than 400 years of history (it was established in 1592). The eel was smokey and delicious with the right amount of fattiness which was soaked up by the rice. Each mouthful happily melted away in my mouth. The meal came with pickles and a soup which cleared the lingering unagi flavour. It wasn't exactly cheap at around Y1,700 given the two small pieces of eel, but I enjoyed it. Mr B ordered the oyakodon - chicken and egg on rice - but wasn't that impressed. We also chose a side of freshly grilled quail, but it was a bit chewy. Conclusion: stick to what Nezameya seems to do best - the delicious eel. 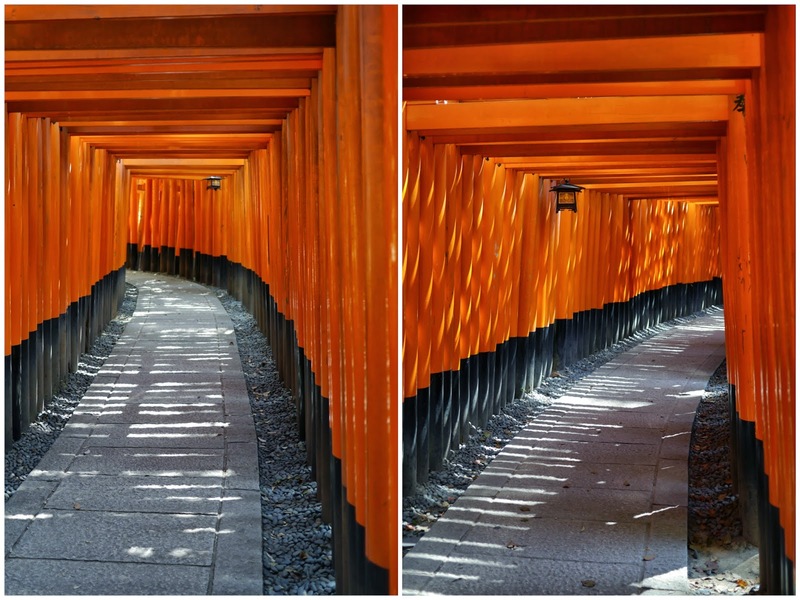 The way the light plays on and through the torii is magical, isn't it? We went a little before sunset, but I'd like to visit again at other times of the day. 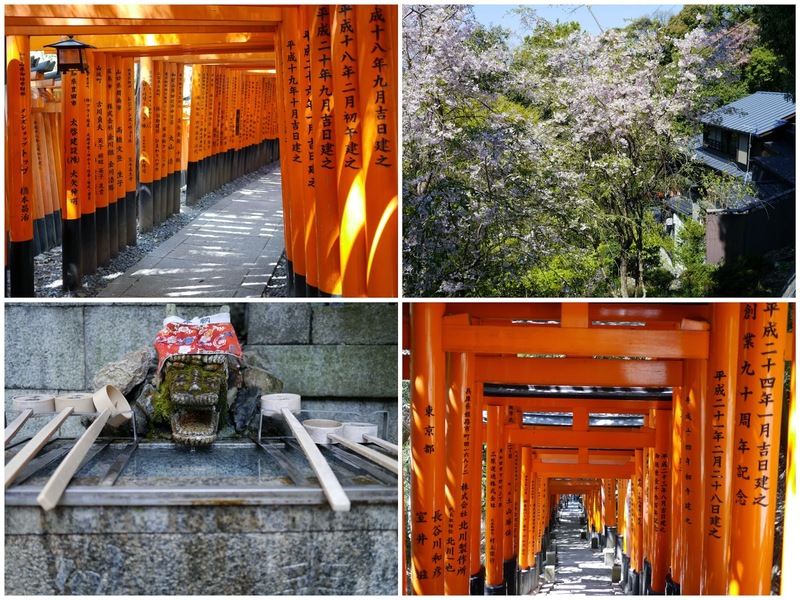 It was your post on Fushimi Inari that sealed the deal for my visit to Kyoto. So impressive - I took hundreds of photos!